There is often one exotic historic area in every city waiting to be explored. 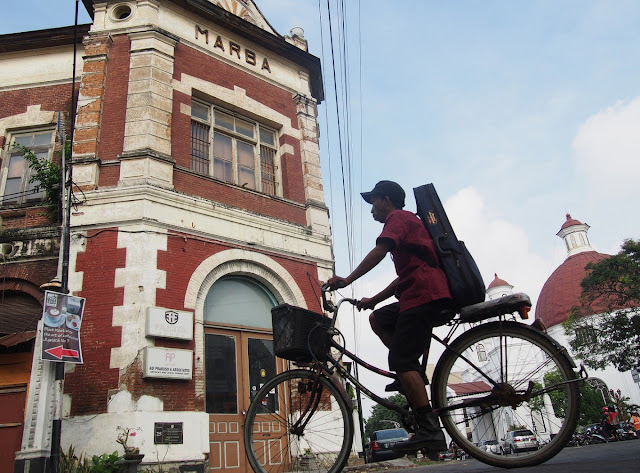 In Semarang, Central Java, the area is named Kota Lama (Old Town) or Outstadt. Situated in the intersection of Jl. Pemuda and Jl. Imam Bonjol, Kota Lama is also known as Little Netherlands. Established in the 18th century when Indonesia was a Dutch colony, its location is currently separated from a residential area. The center of Kota Lama is Blenduk Church (Nederlandsch Indische Kerk). Built in 1753, the church is the oldest building in the area. In addition to Blenduk Church, there are more than 50 well-maintained colonial buildings in Kota Lama, displaying 18th century European architecture. Once visitors step foot in the area, they feel as if they are being transported back 200 years. Despite its rich history, Kota Lama was once forgotten, leading it to becoming a red-light district as well as a center of cockfighting.